Hampton Scrap Metal Buyers . We come to you. We are mobile! It is our responsibility to take care of our environment. We, therefore, have no otherwise but to be extra cautious on how we handle our daily activities in our various habitats and surroundings. Amalgamated Scrap Metal are a mobile recycling business where we travel to Hampton to collect your scrap, pay you with CASH, and then recycle the scrap. Perfect! As a responsible citizen of the country and the universe at large you have the responsibility of disposing of waste material in the right place where the experts dispose of them professionally, get them reused or recycled while ensuring the environment is all safe. You may at one point in time happen to have a valuable product that has either broken down beyond repair or become outdated, and you are not yet ready to part with the product without getting fair compensation. Well, don’t worry anymore about what you must do because Amalgamated Scrap Metal Recycling Services has got you covered on that. This is how you could also easily make money while keeping your neighborhood safe and clean. What Scrap do we collect in Hampton? You can drop off one of these materials to Amalgamated Scrap Metal and get the equivalent monetary compensation based on the quality of metal you delivered and the weight too. The following are some of the significance of playing a role in the metal recycling process. a) Recycling creates employment opportunities. The recycling industry has created job opportunities for many people who are working in the factories and the scrap metal collectors too. If you participate in any stage of scrap collection and delivery, you will make some cash worth your effort. b) Recycling of metal products helps slow down Global warming. Metal recycling reduces the emission of greenhouse gases while at the same time using less energy compared to the volumes of greenhouse gases and energy released when making metal from virgin ore.
c) It is quite economical as compared to the production of virgin metal ore. The amount of funds used to extract virgin ores and take it through the manufacturing process too proves to be slightly higher. d) Generates income for the government. The scrap metal recycling industry generates income for the government through the taxes paid by the participants. The government also gets to tax the employees and the exports to generate revenue for the government. e) Metals can be recycled again and again. A metal can be reclaimed again and again without losing its beneficial properties. During the recycling process, a metal can be extracted from its alloy in its original form. We have several participants in the scrap metals recycling industry. Amalgamated Scrap Metal is probably one of the best if not the best metal recyclers in the industry since its inception. The following is about Amalgamated Scrap Metal and the kind of services that they provide. Who are Amalgamated Scrap Metal? Amalgamated Scrap Metal is an operational family business that has been in the business for decades. Amalgamated Scrap Metal has managed to survive for all this time in the business because the company offers reliable services proving them as trustworthy people in the industry. a) Amalgamated Scrap Metal is a friendly business in that the business’ activities and recycling processes are environmentally friendly business always striving to keep the environment safe and cleans for us. As lovers of our environment, we need to accord them all the necessary support and labor they require. b) Amalgamated Scrap Metal is among the few certified second-hand dealers permitting them to participate in second-hand trade of acquiring products from people in the neighborhood as per the requirements of the laws of the land. c) Amalgamated Scrap Metal is mobile in their general operations. 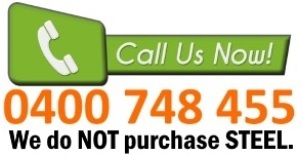 If you have recyclable products that may need transportation, all you need to is dial their number which is available on our website for any queries which may include the prices which they offer on specific products. d) Upon making an order, they visit your stipulated rendezvous point to collect the merchandise in your hands. The business is well organized not to mention fully well equipped with the modernized equipment. The dispatched personnel weigh the available scrap metals, and you get your full pay before the loading process commences. Payment is made by cash on site. e) The company is established in the industry and in the organization too. Amalgamated Scrap Metal has survived in the industry long enough to see new investors come and go. The consistency and originality make this your ideal company of choice. f) The company recycles a wide range of metallic products. Amalgamated Scrap Metal recycles copper electric cables, brass, radiators, lead-acid batteries, steel products, air conditioning units, and electric motors. This wide range gives you a more comfortable option to make money by delivering the merchandise to Amalgamated Scrap Metal. The above information clearly outlines the need for us to participate in the environmental cleaning process by cleaning up the scattered crap metals littering our compounds and the neighborhood at large. By doing this you get to earn some extra cash, and at the same time, you get to keep the environment clean and safe. 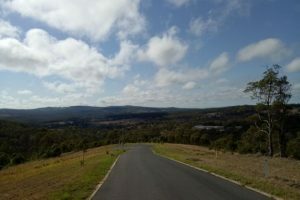 We also provide a service for Toowoomba.